SEAMAN JOB INFO - PTC, INC. Opening recruitment officers, engineers, ratings, cadet joining onboard A.S.A.P. 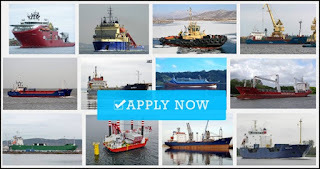 0 Response to "Hiring Crew For Container, Offshore, Bulk carrier, RORO, Cargo, LPG/LNG, Fpso Vessel"